Fully customize your text: This Bin Sticker can be personalised with either you house name, number or full address. Long Lasting: The design is printed with sublimation which embeds the ink into the Bin Sticker. 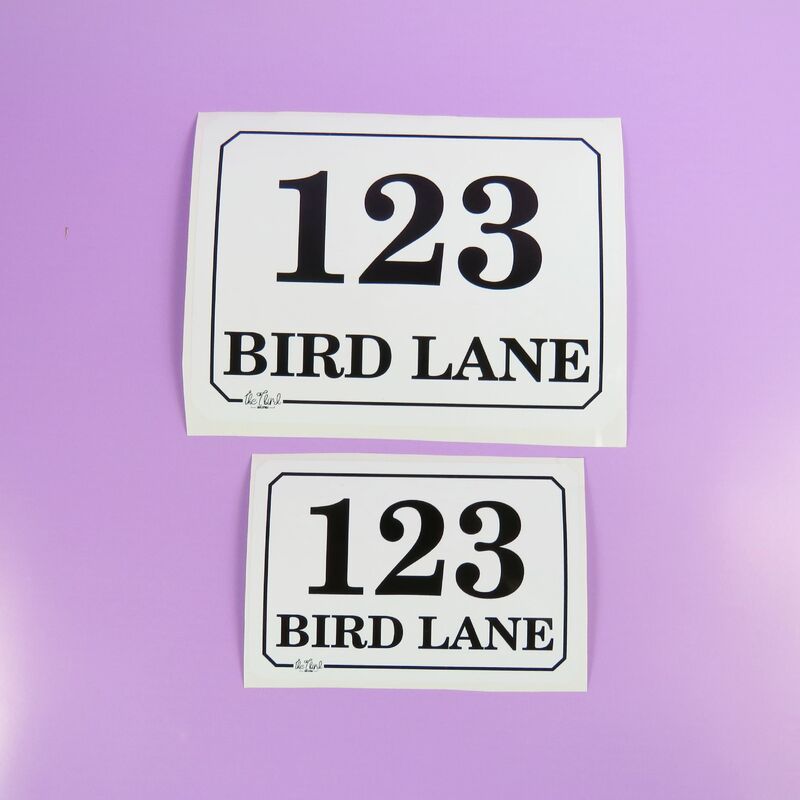 Bin Stickers: We have a choice of size bin stickers from A5, A6, and 75mm high x 115mm. The 75mm high x 115mm can be plain black and white or with a floral design. They are Printed on high quality white vinyl, built to last! Are you forever loosing your bin? Or perhaps you find rubbish not belonging to you ending up in your bin? then look no further! This is the bin sticker for you. All our Bin Stickers are designed and made with love and care. If you want this item personalising, just let us know. If you do not contact us then we won’t personalise the design and you will get the simple design not personalised.